Fruit is simply stunning this time of year, and in Northern California we are particularly blessed in this regard. 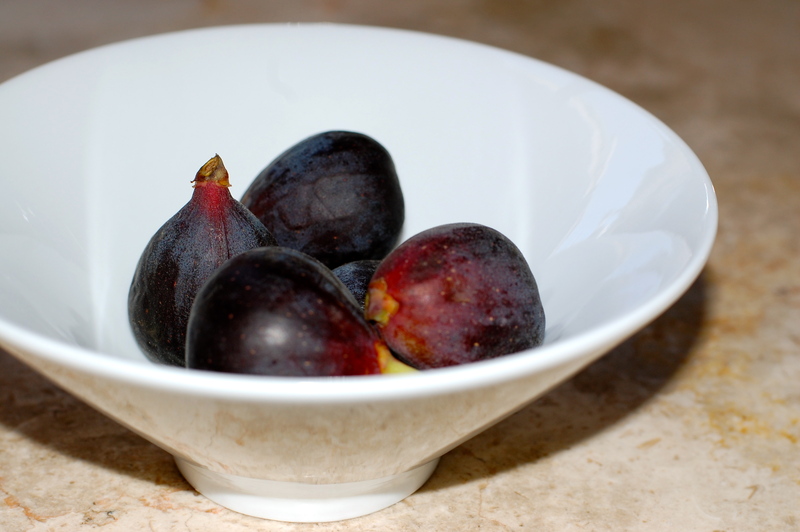 But the fleeting and dramatic appearance of figs always captures my attention. This year, it was Talia who happened to spot the baskets of of dark purple mission figs at the market and requested a sample. One bite and she was sold. An unexpected and quite pleasant surprise. On the way home, I had the brilliant idea of resurrecting our old dinner party favorite that lost its status around the time we became parents and stopped throwing adult dinner parties. Fast forward eight years, and it turns out that balsamic vinegar and goat cheese are still beloved in our house. 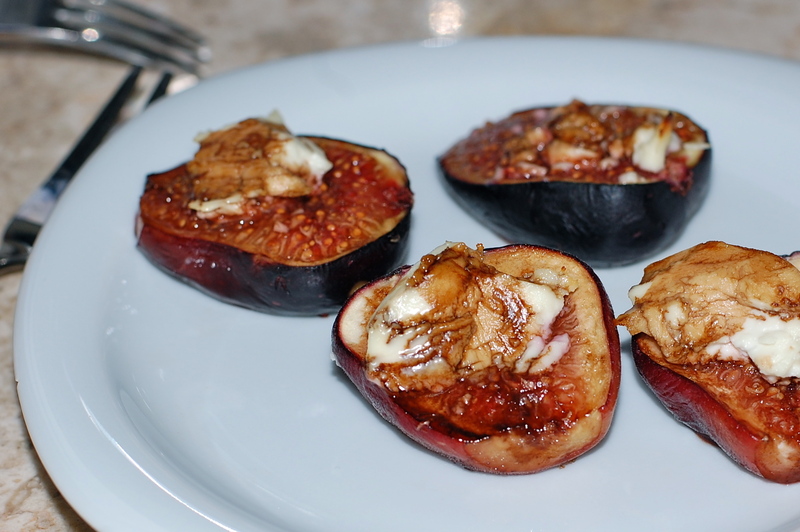 I thought the girls would enjoy trying both on top of roasted figs, which make for an excellent appetizer, compliment to meat, or dessert. Turns out, the challenge with figs is that like most fruit, their texture transforms upon baking. The softer, melty version was not appealing. The girls preferred raw. Oh, well. In my infinite maturity, I say is was worth a try – plus, that leaves more for me! One basket of figs serves about 3-4. Extras are always appreciated since they disappear quickly. Preheat oven (or toaster oven if an option) to 425°. Wash and dry a basket or two of mission figs. Remove stems and slice the fruit in half, lengthwise. Line fog halves on a baking sheet. 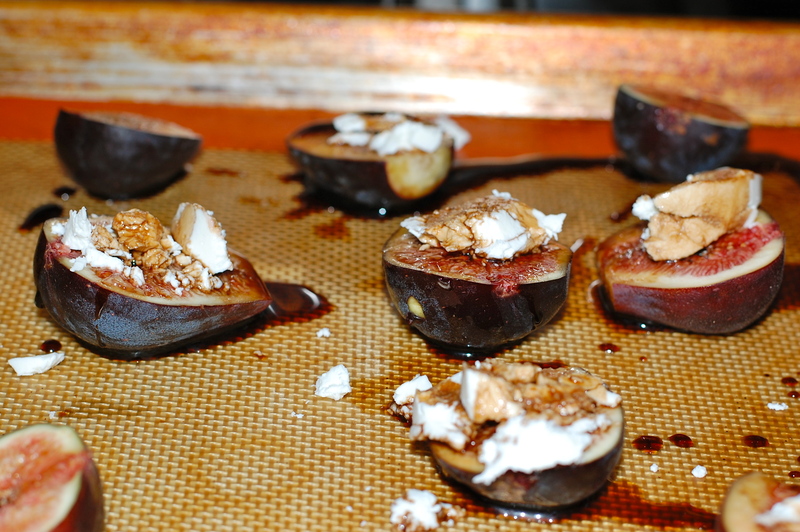 Place teaspoon-sized dollops of fresh goat cheese (chevre) on top of fig halves, then generously drizzle with balsamic vinegar. Bake for about 15 minutes, or until balsamic becomes syrup. Transfer to plates and serve. Or perhaps you’ll eat them right off the pan! 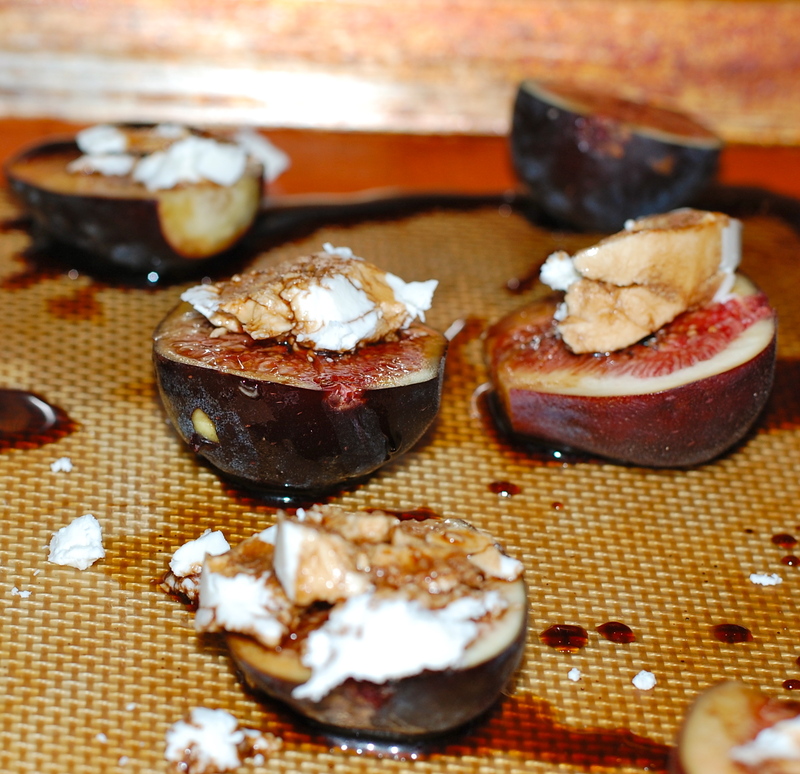 my sister in law regularly gives us figs from her tree and i promise you some of them will be turned into this!